The eyes are one of the first things that people notice when they look at your face. Framing your eyes are your eyelids. This may not be a feature that you think about often, but eyelids play an important role in your overall appearance. For eyelids that have lost their youthful tightness, we offer a procedure called blepharoplasty. 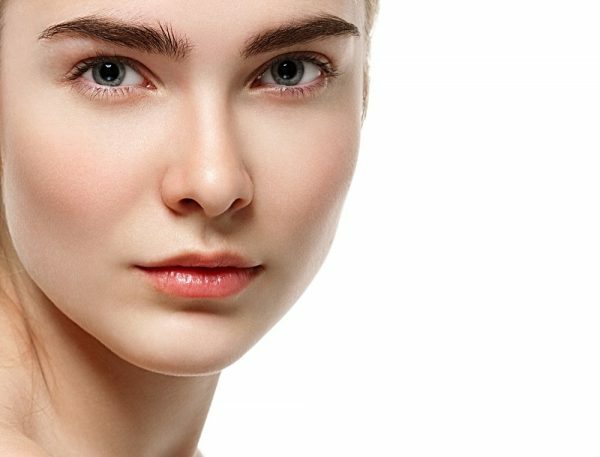 Learn more about your options for eyelid rejuvenation in the D.C. area. Blepharoplasty can freshen up the appearance and produce a rested, rejuvenated look. This procedure isn’t just cosmetic. Some patients notice an improvement in their vision after an eyelid lift since sagging skin can partially block vision. Our consultations are designed to provide information to each patient, not pressure. 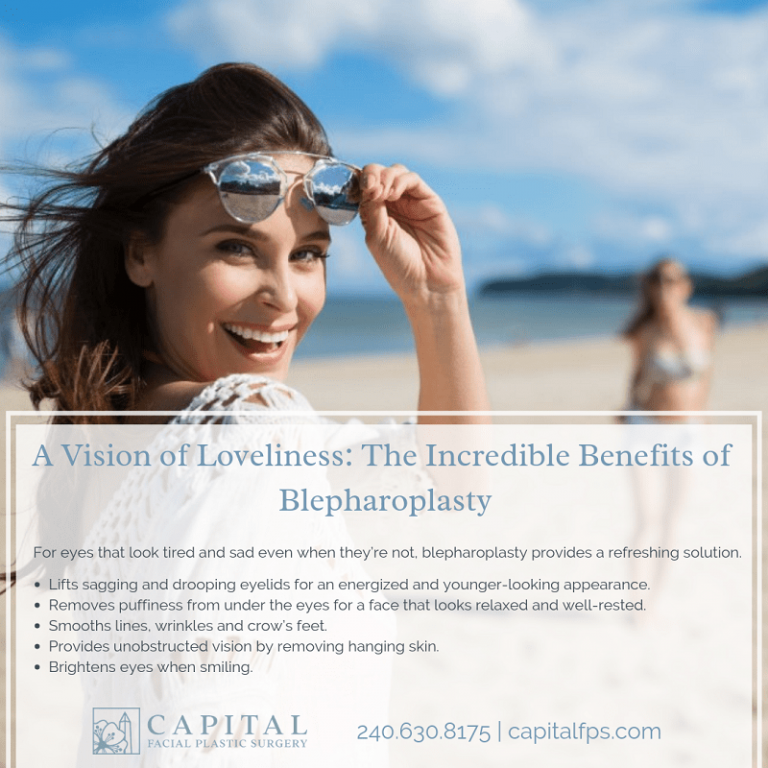 We want you to choose blepharoplasty because it is the best fit for your goals. Whether you choose surgery or not, we encourage you to come in and learn more. Information is essential to making an informed choice about eyelid surgery. We perform the majority of our eyelid lift procedures in an offsite surgical center, located nearby our office. This surgery is an outpatient procedure, so patients recover at home in a familiar and comfortable setting. A transconjunctival incision is placed on the inner lower eyelid, completely hidden from view. This approach is ideal for patients with fat bags under the eyes and without excess skin. A transcutaneous incision is placed on the lower eyelid, hidden in the lash line. This incision allows for moderate skin removal and tightening. We can also treat fat bags with this incision type. It can leave a small scar, but it is usually well hidden in the eyelashes. We can perform treatment on the upper eyelids, lower eyelids, or both. We typically treat both eyelids to ensure a symmetrical and balanced facial appearance. Eyelid surgery is often paired with other facial plastic surgery procedures including facelift and brow lift. Patients heal quickly after this procedure. Most take 1-2 weeks off from work and limit strenuous activities for 3-4 weeks. If you wear contacts, you won’t be able to use them for the first few weeks. Wait until Dr. Singleton tells you to it is safe to resume exercise or contact use. At first your eyes may feel dry and tight. We’ll provide prescriptions for eye drops and ointments as needed. Elevate your head to reduce swelling. Rest as much as you can the first day and then slowly introduce activities again. Gentle walking starting on day 2 can increase blood flow and help the body to heal. We’ll meet with you multiple times during recovery and look forward to seeing your results! Why Choose Dr. Singleton for Eyelid Surgery in the D.C. area? Uses the Latest Techniques: Dr. Singleton is trained in many of the latest facial surgery techniques and uses these methods to obtain stunning, natural-looking results for his patients. Is Personally Present Throughout the Surgical Process: Dr. Singleton will be involved in your procedure from beginning to end. Unlike many practices that outsource post-operative checks to nurse practitioners, Dr. Singleton performs these checks himself. You’ll receive personalized attention from your surgeon at every visit. Focuses on the Patient: We know you’re busy and won’t waste your time. We strive to ensure that all patients are seen on time, treated with respect, and given sufficient time to ask questions. Eyelid surgery at Capital Facial Plastic Surgery is a unique and enjoyable experience for many of our patients. Come in for a consultation to experience our one-of-a-kind approach to plastic surgery.